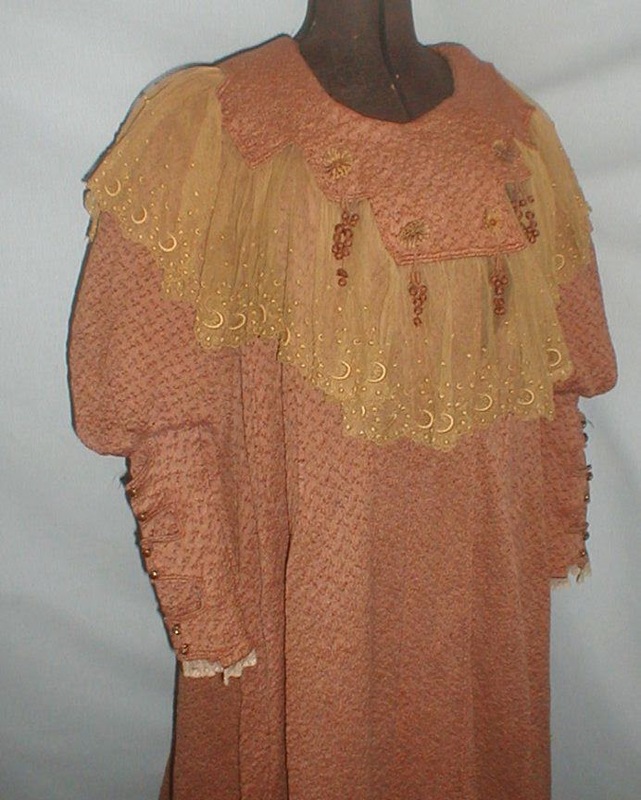 A lovely 1895 light brown textured silk dress. The bodice has a wide beige lace Bertha style collar. 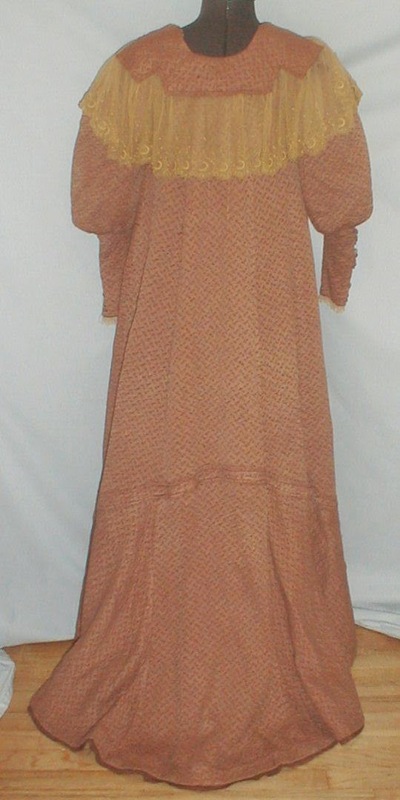 It has leg of mutton style sleeves and tight fitting cuffs. The cuffs have a tab and button closure. The bodice is lined with cotton. The lining has a front button closure but the buttons are missing. The outer fabric has a hook and eye closure. The skirt is unlined. It is in very good condition. There are no holes or splits in the fabric. There is mo underarm discoloration. There is no discoloration on the lace just shadows created by the camera flash. 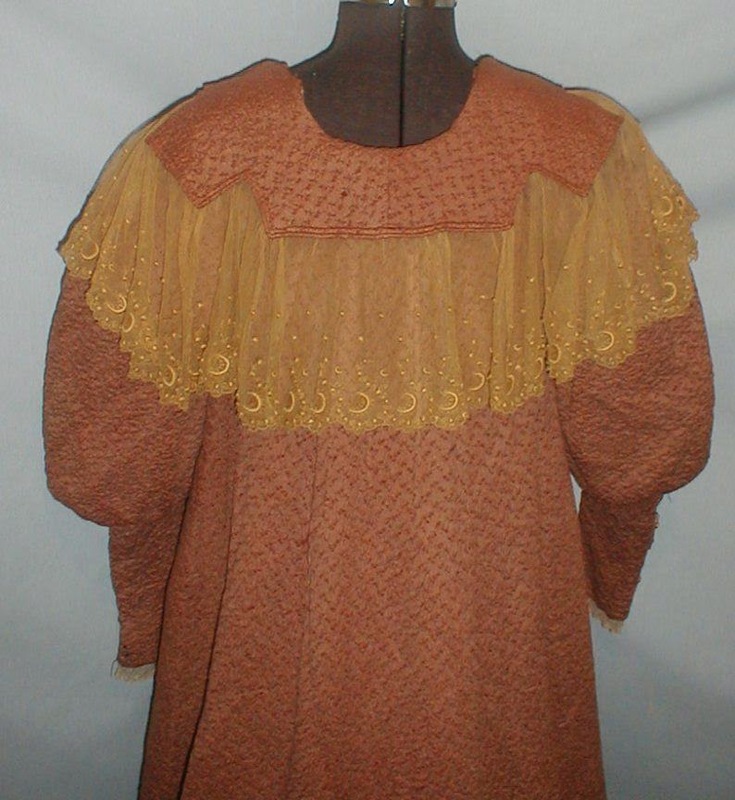 Bust 32 Loose fitting waist 34 Length from shoulder to hem. 52. 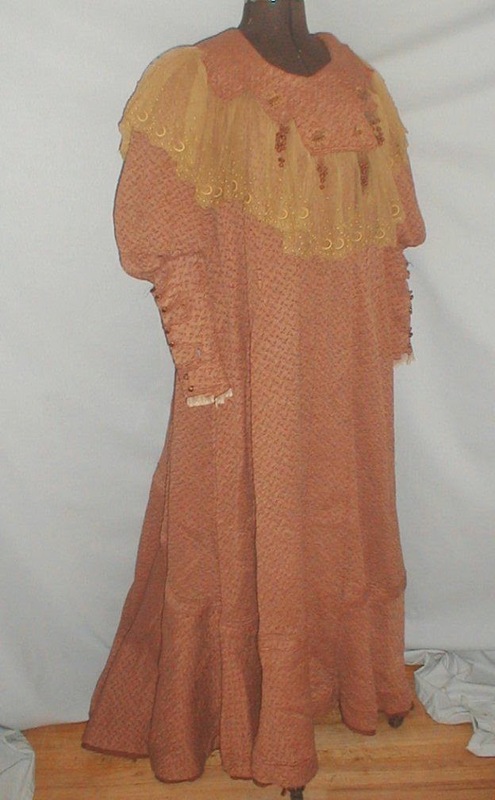 Ladies, how would you like to lounge around in this all day rather than your leggings and t-shirt?